These are all the Blogs posted in January, 2018. 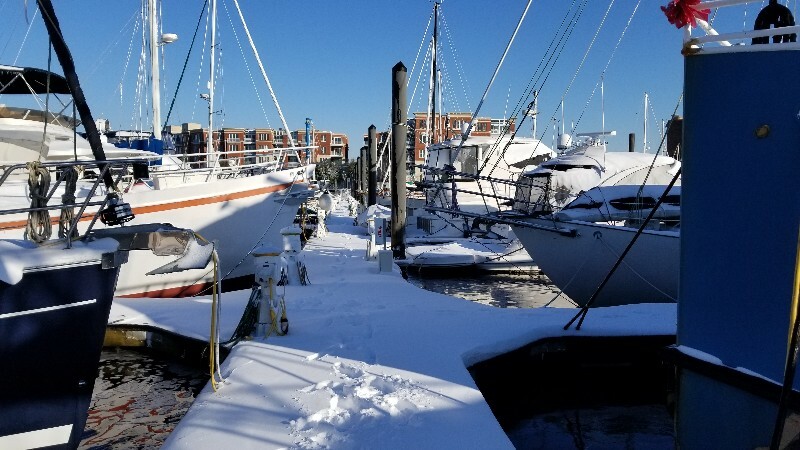 We ended up spending longer than expected in New Bern due to a Winter Storm that kept temps below freezing for about a week... temps ranging from 7° at night to low 20's during the day... I would guess about 6" of snow. 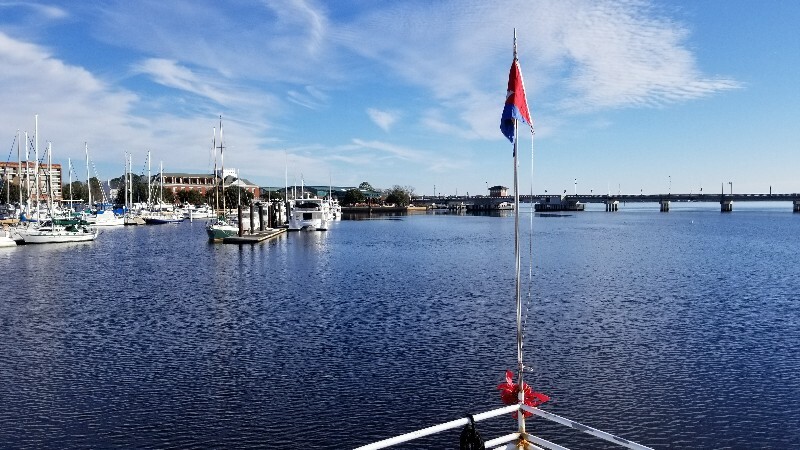 Departed from New Bern Grand Marina on 1-10-2018 at 0945... I was solo on the boat with susan staying behind to drive our car from New Bern to Bock Marine in Beaufort, NC. 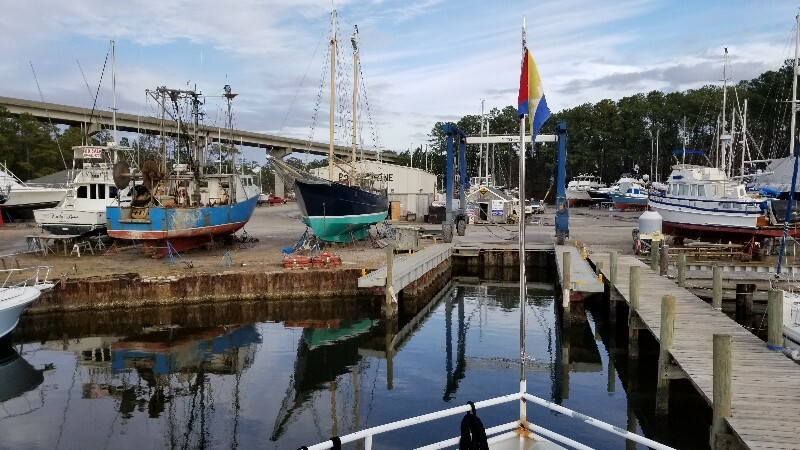 Was flat calm on the Neuse River despite forecast of 2 foot seas... Even saw a few boats moving around... was a nice day. 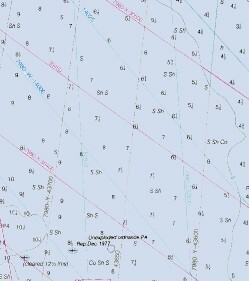 I arrived to Bock Marine at approximately 1450 and was securely docked at 1500 34°49.440'N, 76°41.424'W. Traveled today for 5 hours and 25 minutes covering 31.5 nautical miles averaging 6.0 knots. 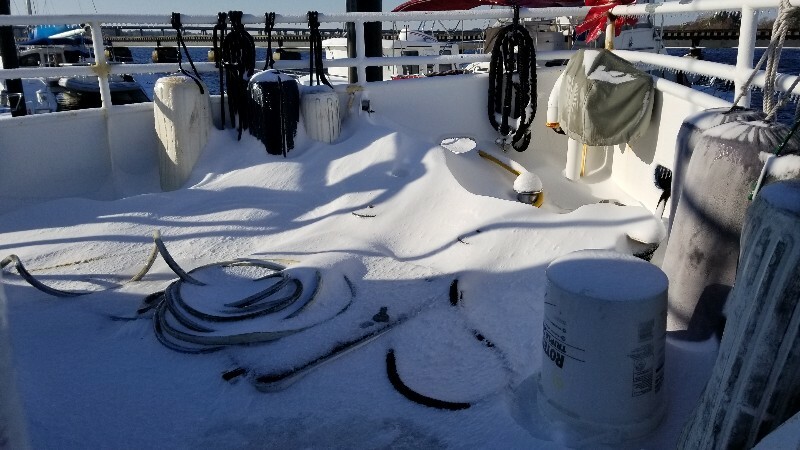 SAILS will be hauled out of the water tomorrow morning 1/11/2018. We will be the hard for the next couple of months for SAILS to get a little TLC.